Some NYSC corps members posted to Borno State need advice. 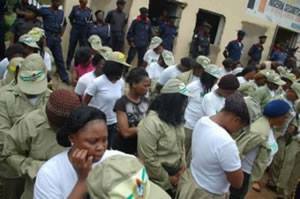 With the numerous killings of students by Boko Haram, do you think it is wise to have posted some corps members there? Drop your suggestion and advice for them in the comments section below. Borno, Yobe and Adamawa are out of the states in Nigeria. So, no corp member should be posted there till they decide if they are Nigerians or Boko Haramists.